I have to take a moment to collect my thoughts on TV shows and my almost shameful obsession with collecting them. I feel like I love TV more than most, and definitely more than I should. Alas, I thoroughly enjoy losing myself in the stories so it's a love affair that will undoubtedly continue. Plus, we also have Amy Acker who I've loved since Angel and the short-lived Happy Town, Ken Leung from LOST and Enrico Colantoni from Veronica Mars. All of these things make me very happy! Other shows on my radar right now are The Tick, Orange is the New Black and Gotham. What are you watching these days? 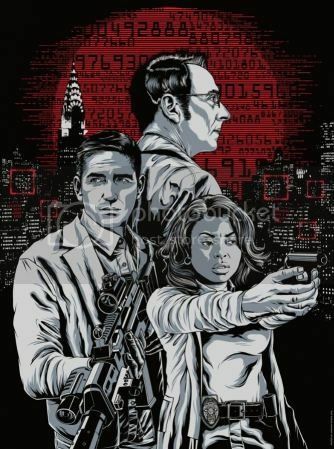 Love Person of Interest, too! It's just so unique. My other not to be missed show is Once Upon a Time. I watched Once Upon a Time the first season and then part of the second. I got busy and fell WAY behind. I should catch up soon. Thanks for the reminder!